This vintage sweater is equally cozy and ornamental. I like how the individual shape of the southwestern print looks a bit like an ornament! I put together this outfit rather spontaneously because sometimes I wake up not wanting to wear what I had planned the night before. 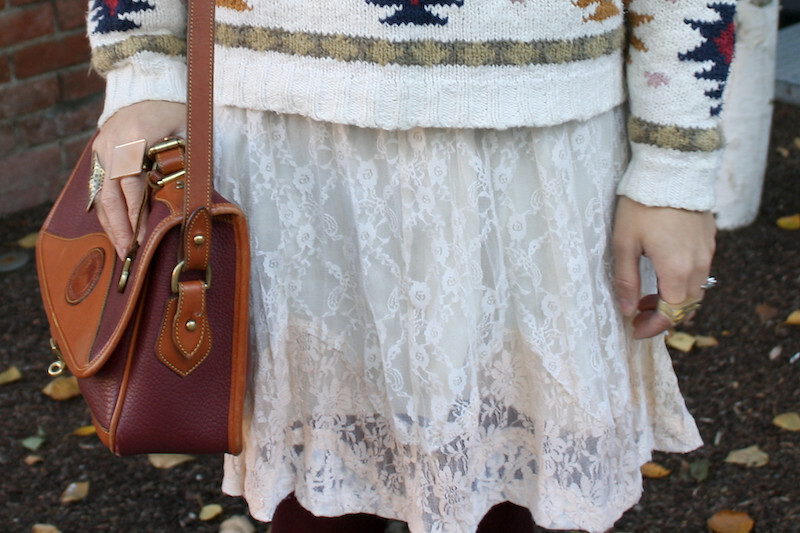 It is all about mixing and matching... chunky knit and bold pattern with soft hue and dainty lace. And on a nine-hour work day I like to wear comfy shoes, these vintage Salvatore Ferragamo oxfords are so amazing that I walked all over Paris in them last year. As you can see, they are a bit worn and well loved. 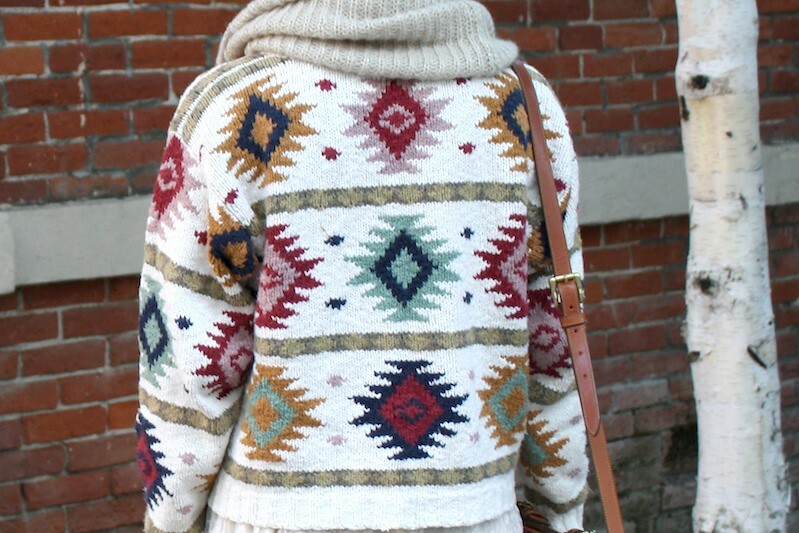 Vintage southwestern sweater from Thriftwares. 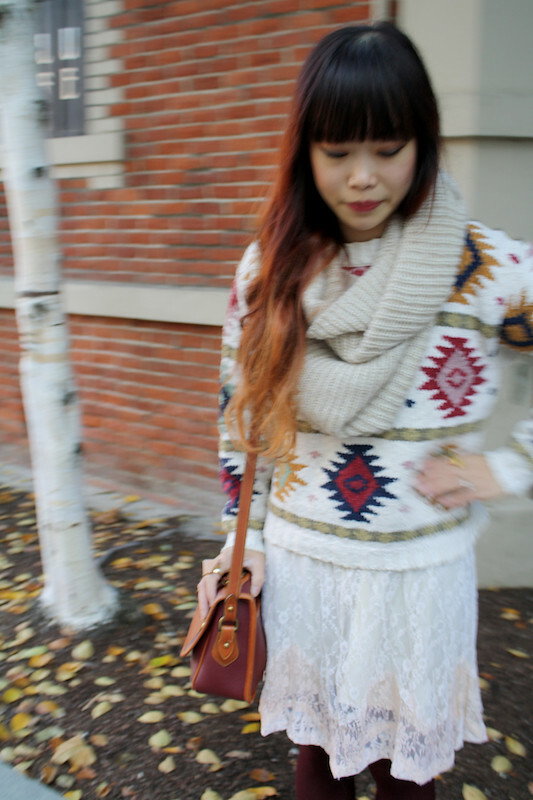 Lace skirt from Hong Kong.Cream metallic knit circle scarf from Hong Kong. Vintage Dooney & Bourke purse from Ebay. Vintage Salvatore Ferragamo oxfords from Etsy. I love your style, I have looked in Lookbook much, your publications. 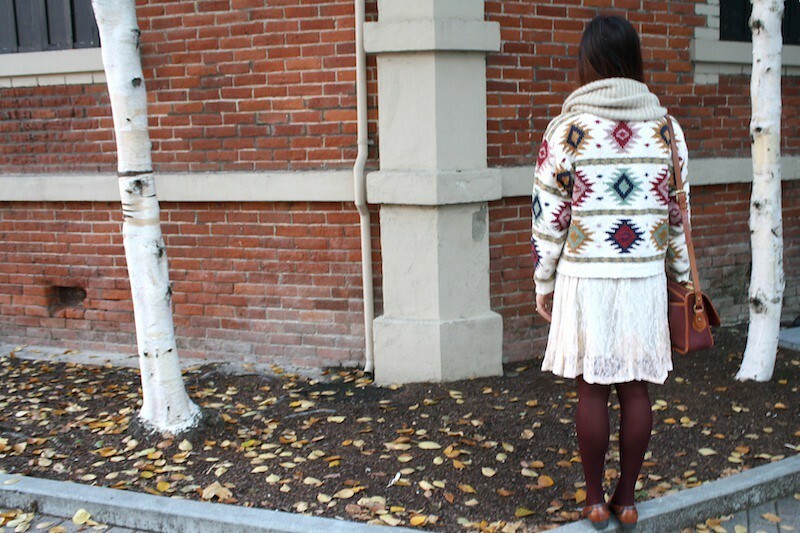 A remarkable sweater and a skirt, and as a scarf.